Welcome to Mom's Cab, the North Coast's leading taxi and contract delivery service. Getting you to your destination safely and promptly is our only business. With the lowest wait times in the area, our independent contractor drivers are courteous, prompt and are knowledgeable of the area. We will always find the shortest route to your destination and whether in town, or hundreds of miles away. 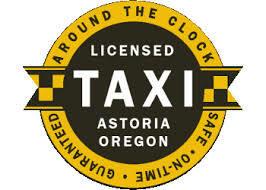 The team of drivers at Mom's Cab are proud to serve those who serve Astoria well. Our nighttime drivers cater to the taverns, bars, and restaurants ensuring that all patrons are able to get home safely thereby keeping our streets safe for all of us.